Innovate @ Houndgate forms part of the Houndgate and Beaumont Street office development. The development is located in the town centre of Darlington close to the Dolphin Centre and Market Square and is within easy reach of all the town centre amenities including transport, leisure, retail and education facilities. 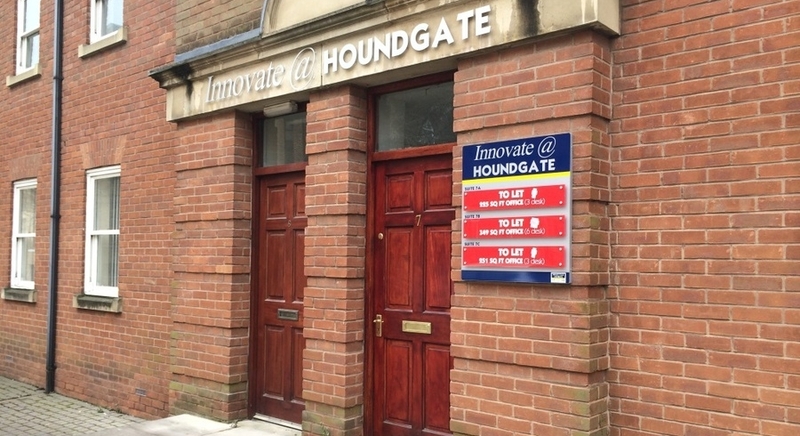 Innovate @ Houndgate is a modern refurbishment of a well situated town centre office development. The suites benefit from a shared ground floor entrance with intercoms provided in each suite, the ground floor entrance leads to a first floor lobby area comprising male and female WC's, shared kitchen facilities and access to each individual suite. Each suite has been refurbished and modernised to a high standard. Suites are available furnished or unfurnished. Whittle Jones is a trading name of Northern Trust Co Ltd.